Mother's Day will be here soon, and it's the time to show your mom or mother-figure just how much they mean to you. Although nothing can make up for all the worries, sleepless nights and the vast amounts of love and understanding that moms give us, we can at least try, right? This Mothers Day give your mom a "gift that is straight from the heart" and show her how much you appreciate everything she does for you! We have some great gift ideas too ! All Macaroni Grill locations will offer a $19.99 per person prix fixe menu Saturday, May 13 and Sunday May 14 that includes salad, choice of one entree and choice of one dessert (additional details follow). 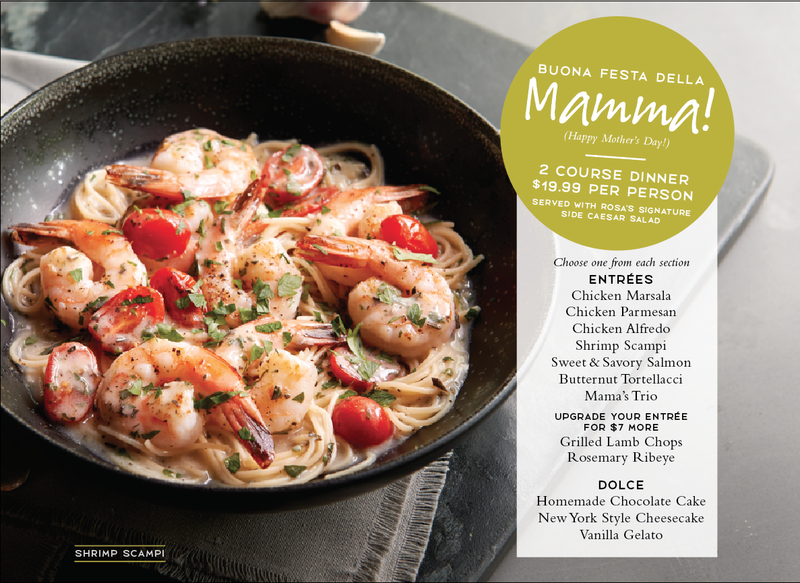 All Moms who dine at Macaroni Grill on Mother’s Day weekend will receive a coupon for a free appetizer with the purchase of an adult entrée to be used at their next visit to Macaroni Grill before May 31 (**more details below). Finally, if you’d like to send Mom a gift card instead, Macaroni Grill will offer 25% off electronic gift cards, Monday, May 8 through Sunday, May 14. *For an additional $7 choose from Grilled Lamb Chops or Rosemary Ribeye. All dinners are served with Rosa’s Signature Side Caesar Salad and guests can choose one dessert including Homemade Chocolate Cake, New York Style Cheesecake or Vanilla Gelato. Macaroni Grill’s culinary team prepares each guest’s dish cooked to order in an open kitchen so guests can see the ingredients and culinary techniques in action. The Macaroni Grill Mother’s Day coupon is valid 5/15/17-5/31/17. Coupon required. One coupon valid per party, per table. Not valid on 3 Course Lunch or Romano’s Kitchen Counter. Not valid with any other offers or discounts. Coupon has no cash value, may be used one time only and applied to one check only. Alcoholic beverages not included. Only valid at participating locations. Not valid in Puerto Rico, international or airport locations. Taxes and gratuity not included. Coupon code #134. This Mother’s Day be the hero and gift the woman in your life the ultimate indulgence – a long bath time soak complete with intoxicating scents, soothing melts, fragrant teas and essential oils. Two different lines, Village Naturals Aromatherapy® and Luxe™ by Mr. Bubble®, offer multiple options for mom and those who are pampering her. Village Naturals Aromatherapy affordably enhances the bath experience with spa-quality creations that offer soothing benefits while stimulating the senses. The collection’s exclusive Re-Vita Complex™ provides antioxidant-rich blends including Vitamins C and E to nourish and refresh skin, while essential oil based fragrances enhance your mood and offer guilt-free pampering. Double Butter Bath Melts, Botanical Bath Teas, and Essential Oil Blends come in two collections: the new Purify collection featuring Tea Tree and Sweet Orange to detoxify and protect and Calm, imbibed with Lavender & Chamomile to relax and unwind, welcomes two new additions to the collection for even more pampering. All products range in cost from $4.97 to $6.97 and can be found at select Walmart stores nationally and online at Walmart.com. If the mom in your life loves retro AND luxury, then the Luxe Guilt Free Cocoa Butter Bar is sure to please. This Bath Melt is shaped like a candy bar that breaks into perforated squares – enough to enhance four individual baths. Each Luxe Guilt Free Cocoa Butter Bar is colored to match its three distinctive scents: original Mr. 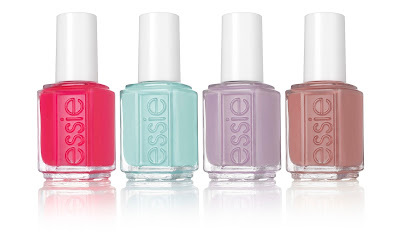 Bubble, Sweet & Clean and Sparkling Sorbet. At $6.00 a bar, you can afford to get mom all three. The Luxe Guilt Free Cocoa Butter Bar is available at Ulta Beauty stores and Ulta.com. 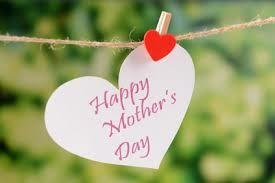 There are countless things to thank mom for this Mother’s Day. With each and every selfless act and wash, her hands give so much often leaving them rough and dry. Softsoap Hand Wash Plus Lotion liquid hand soap has a unique formula with just a touch of lotion, to keep your mom’s hands smooth and soft after every wash. Available in three indulgent scents, this line will add love back into Mom’s hands so her soft is always a soft touch. The perfect accessory for moms on the go. Bring only the essentials for a power luncheon, a sporting event and everyday wear. 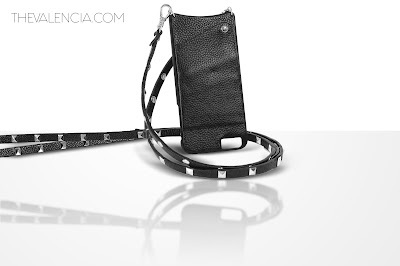 This dazzling and functional hands-free iPhone purse is ideal for those of us who have to much to juggle and not enough hands. Fit for rock and roll aligned with studs, in black Italian leather, THE VALENCIA, designed in New York is now available to all. Cause for action while you shop, as the proceeds of your purchase will be donated to the distribution of meals for the homeless in NYC. The colourful villages of the Amalfi coast, with their spectacular views of the sea, are the ideal setting for this season’s resort collection, which is perfect for both Spring and Mothers Day. 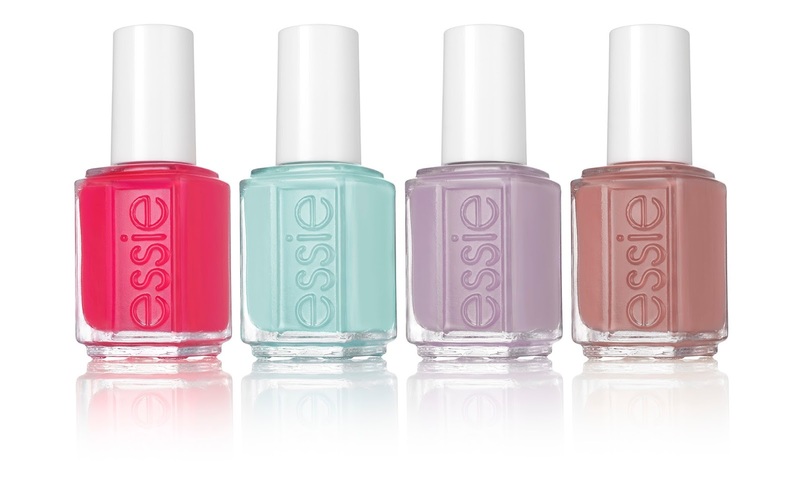 These four new essie Resort 2017 shades set the mood for a getaway season filled with authentic linen moda, sleek sunglasses, and embellished sandals. Punch up the look and create classic beauty with camellia crimson, go fashion forward with a striking rose-tinged terracotta, flirt with a kiss of lilac, or just dive in with aquamarine blue. There’s a little bit of Italian coastal flare for every mom in this perfectly edited assortment. Take the bible off the nightstand and dangle it close to your mother's heart. WearABible incorporates ancient scripture with the most recent technology, allowing the bible to be micro printed on a nano-chip and inserted into a beautiful pendant. We all want to make sure that mom knows we care about her on mother's day - we only want to protect her and thank her for all she's done for us. 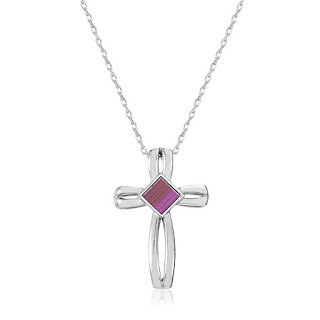 This mother's day, forego the tchotchkes and little decorative statuettes you give mom to spice up her decorating skills, and give her the word of God that she can wear anywhere she goes. Fifteen years in the making, Demeter Fragrance Library introduces Kitten Fur. 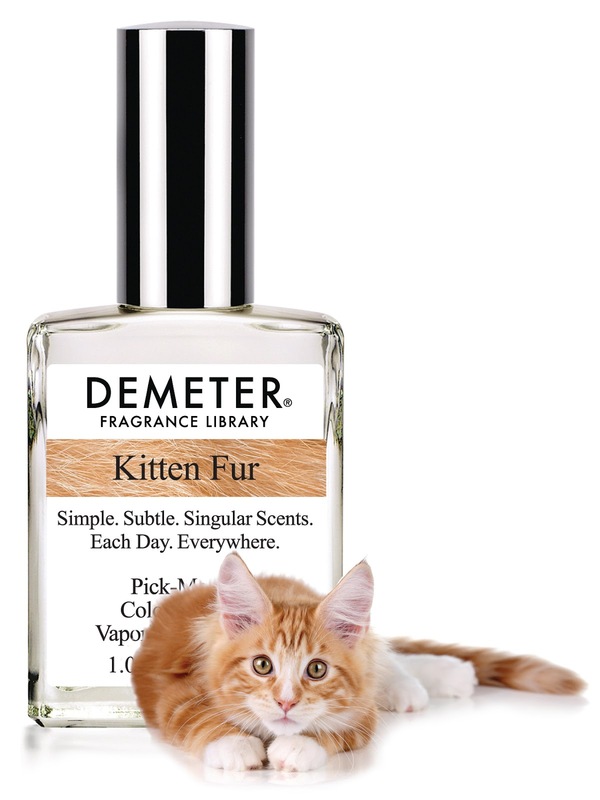 Cat lover or not, Demeter’s new scent will definitely evoke emotion from any Mom on Mother’s Day. From surprise to comfort, from happiness to memories, from excitement to curiosity, this is a fragrance unlike no other. With Kitten Fur, Demeter has captured the olfactory essence of the warmth and comfort of that purrfect spot, just behind a kitten's neck. with all of its exuberance, splendor, and absurdity. Perfect for the mom who loves traveling! 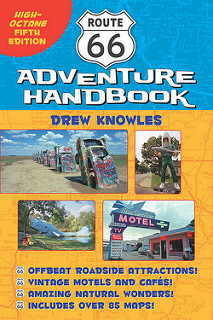 This road trip season, Drew Knowles released ROUTE 66 ADVENTURE HANDBOOK: High-Octane 5th Edition (Santa Monica Press/May 2017), which contains tons of new and interesting facts as well as maps to guide readers down the multiple paths of Route 66, displaying the exact locations of points of interest. **Watch this spot for more great gift giving ideas for Mom!